Sonntag 04. of Januar 2015 7 Pillars of Wisdom - How to keep a Horse Happy? 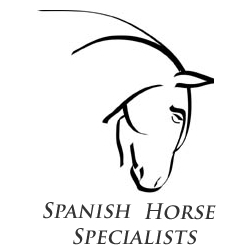 Boutique Hotel & Equestrian Centre in Southern Spain, Andalucia. Freitag 30. of Oktober 2009 "Very, Very Happy, and then SOME!" On behalf of Angelique (especially) and I, we would like to pass on our thanks and gratitude for finding our ideal horse. Mittwoch 22. of Juli 2009 Robert Dover: "The Finest Andalusian I've ever worked with"
Freitag 17. of Juli 2009 Anubis: Great Scores! Invest in Bloodstock - 10 Reasons why it is a good time to invest in horses now. Freitag 07. of März 2008 Habanero Sold - Huge Congratulations! Beautiful photos of rising 5 year old, PRE stallion Cupido and Linda Harper. Needless to say they won all their classes at this show. Congratulations, Linda! You make a great team!